I've just returned from the funeral of a close friend's father. "Funerals are for the living not for those who have left us." I learned this after my mom died a few years back. Burying my mom is the hardest thing I have ever dealt with in my life. My friend's father is not someone I knew closely. I learned a lot about him from his family speaking and singing about this man. He was their friend and their hero. One of his sons, Casey, recalled a story I want to share with you. I hope that I get the details of the story right, but the message he wanted to share with those who came together to pay respects to his father is not something to find in the details. His name was Travis. 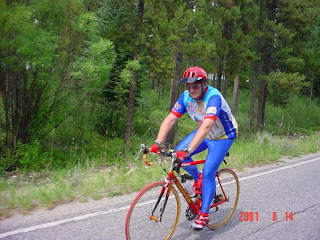 He was an active man, and would participate in these long 4 or 5 day bike rides. On one of these excursions, he brought his son Casey along. Casey was probably too young to join this particular ride. 12 years old was a few years shy of the recommended 14 that is normally the minimum age. His father decided that he should come regardless and they set off. On one particular night the weather had turned and the wind was biting and strong and of course the final stretch for the day was uphill. Casey began to lose hope, barely able to keep up and thinking of giving up. His father slowed down to ride closer to him and offer some words of encouragement. He positioned himself next to his son slightly in front of him, to help block the cold winds. Pedaling along, Travis began to tell his son: we are almost there, you can do it, don't give up just yet. He suggested they sing a song to keep from thinking about the weather and the ride. It was a song that Travis particularly enjoyed. Listening to Casey sing these words behind his father's body laid in front of him was so moving, I choke up even now recalling it. Some days are good, some are bad. This was the first funeral I have been to since my mother died. It was like picking off that scab and allowing the salt in. I must have seemed awfully emotional today at the funeral for a man I barely knew. My emotion came from knowing what it's like to lose a parent, and knowing how each of these family members must be feeling. How they will feel on Thanksgiving and Christmas. How the world seems a little bit more empty. Some days are easier than others. Grieving doesn't end at the funeral, even though the funeral is for the living, to have some sort of closure. Apparently I had a whole lot of grieving still left to do today. I wished I could have been stronger. To provide some of my perspective of losing a parent. All I could do was choke back my own emotions of my own loss. It was obvious to me how I continue to be the walking wounded even 4 years later. Luckily, my friend has a strong and loving family to do that for him. 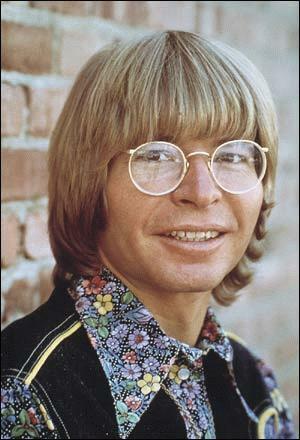 Luckily, we have John Denver and other great music to help us understand and convey our feelings and emotions. This was really nice, George. I am so glad you were able to be there for Mike and his family. They are a great bunch, those Hunsakers.